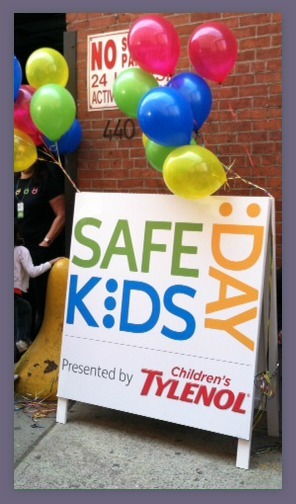 Saturday, we were invited to attend a really cool event called Safe Kids Day in New York City. This fun-filled day had us enjoying a carnival type party where kids and parents could learn the importance of keeping kids safe and preventing injuries. We had some famous faces at the event, such as Nigel Barker, Alysia Reiner, and David Basche. It was fun to watch them arrive on the red carpet and then participate in the activities with us and their own families. Families could go from booth to booth participating in activities and gathering stickers for their passports, where the kids had fun and parents were able to learn some great information to help keep them safe doing daily activities. 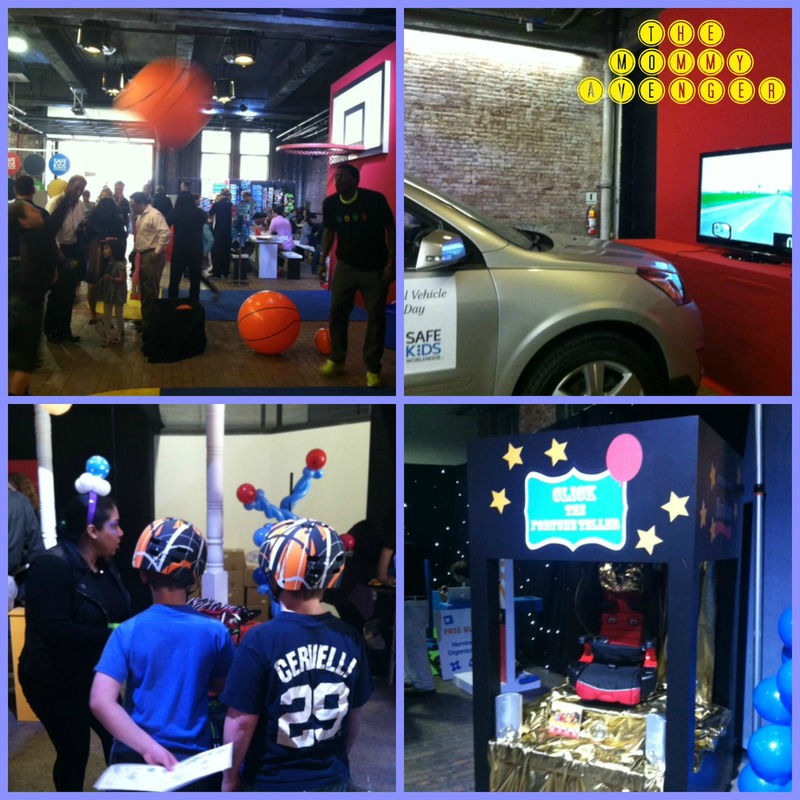 Kids could get measured for car seats and bike helmets, take in an awesome bike show by professional biker Chris Clark, play in the ball pit to promote water safety, have their faces painted, create balloon swords and so much more! My kids particularly loved the simulated driving station sponsored by Chevrolet. Here they were able to get into an actual SUV and had 3D glasses placed over their eyes to distort their vision while driving. This showed what distracted driving could do. They found it was very difficult to drive straight when your head wasn’t clear and you weren’t completely focused on the task at hand. This was a very valuable lesson to learn! The highlight of the afternoon had to have been playing a little one on one with Felipe Lopez, a former NBA player. He was so nice and spent quite a bit of time playing basketball with gigantic basketballs with my son. It was fun to watch them play together. 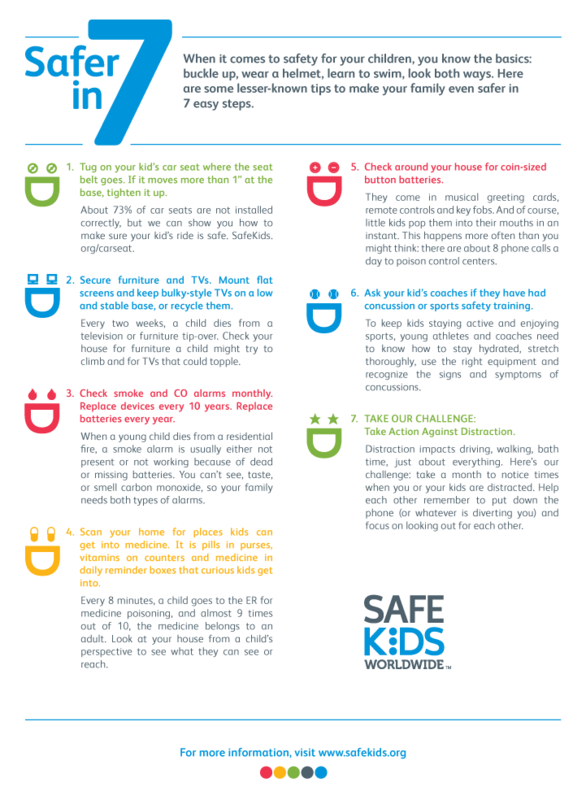 Safe Kids has some great tips for families to implement in their lives. Take some time to go over these safety guidelines and take the steps necessary to prevent unnecessary accidents in children. Safe Kids Worldwide is a global organization dedicated to protecting kids from unintentional injuries, the number one cause of death to children in the United States. Throughout the world, almost one million children die of an injury each year, and every one of these tragedies is preventable. Safe Kids works with an extensive network of more than 600 coalitions in the United States and in 23 countries to reduce traffic injuries, drownings, falls, burns, poisonings and more. Since 1988, Safe Kids has helped reduce the U.S. childhood death rate from unintentional injury by 55 percent. Working together, we can do much more for kids everywhere. Join our effort at safekids.org.